What makes for a great scenic motorcycle ride? Well, this route has all of these and much more. 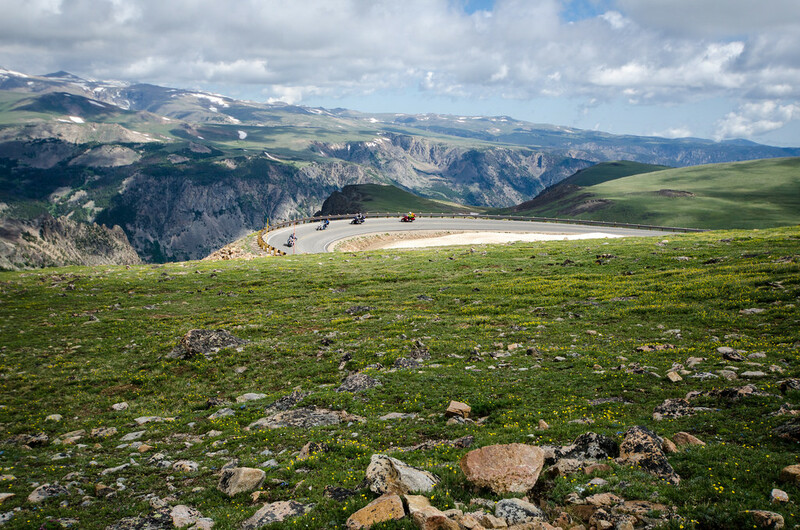 Beartooth Highway, is one of only 21 routes designated as an All American Road. This scenic route has been called ” The most beautiful roadway in America ” by On the Road correspondent, Charles Kuralt. It was voted one of the USA Today Top Ten Motorcycle Trips in 2016. 68 miles of sheer riding nirvana, it winds from Cooke City, Wyoming to Red Lodge, Montana. Rising 10,927 ft over scenic Beartooth Pass, it zig zags through 12,000 ft high peaks of the Beartooth and Absaroka Mountains before falling 5000 ft to Red Lodge Montana. You will pass waterfalls, Glacier Lakes, wildlife and wide high alpine plateaus. 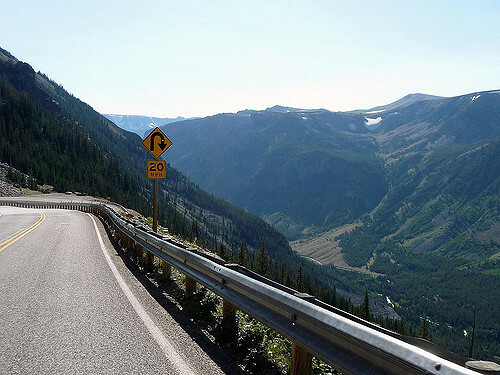 Opened in 1936, officially Beartooth Highway starts at Cooke City, Wyoming, it heads east till it meets Chief Joseph Scenic Byway. In order to start at Cooke City, you will have to pass through Yellowstone and depart from its NE Entrance. This is a very scenic route, however, I prefer starting in Cody, Montana, where you would head North on Hwy 120 and hit The Chief Joseph Scenic Byway. Head north and it will connect with Beartooth. 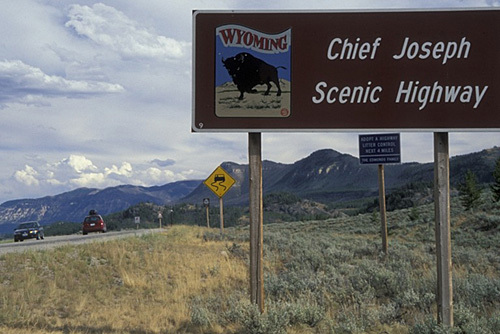 This byway is named after Chief Joseph of the Nez Perce tribe. Chief Joseph, along with 1000 followers, were fleeing the US Calvary, who were trying to force them into a reservation. They made a valiant effort to get into Canada, but were stopped just 38 miles from the border. His last words to his followers were “Hear me, my Chiefs, I am tired; my heart is sick and sad. From where the sun now stands, I will fight no more forever”. I suggest that you plan your ride for some time in the summer. To get to the Chief, take Hwy 120 north out of Cody, Wyoming. You will ride 16 miles past Heart Mountain and make a left on Hwy 296, now you are on the Byway. You will cross through historic Two Dot Ranch and then wind your way up to the top of Dead Indian Hill. Be sure to stop at the overlook at the summit. 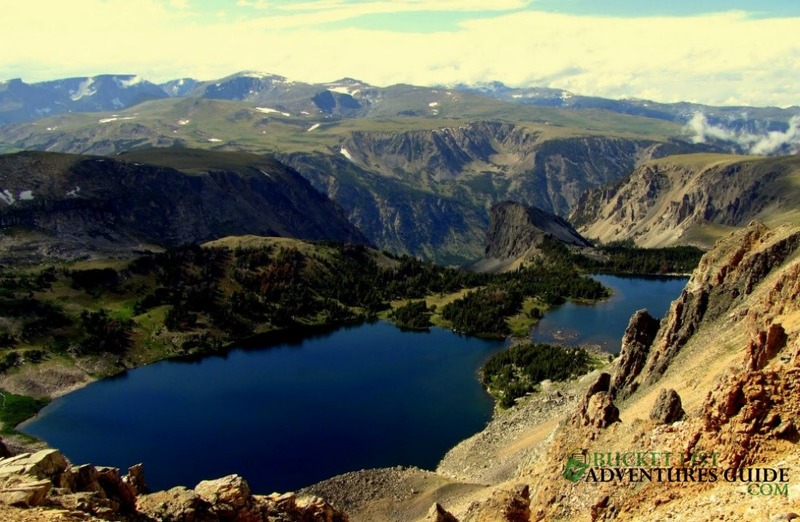 From your perch, check out the spectacular vista of the Sunlight Basin, Clarks Fork Canyon, and the Beartooth Plateau. As you continue to follow the footsteps of Chief Joseph, you will be twisting westward towards Sunlight Creek Bridge, a single span bridge, which is the highest bridge in Wyoming. Traveling west you will cross the Clarks Fork of the Yellowstone river which carves a 1200 ft gorge between the Beartooth Plateau and the Absaroka mountains. To the west you will be able view Pilot and Index Peaks, that stand like guardians to the NE entrance of Yellowstone National Park. Also, at Clarks Fork, there is Painters Crossing, a great spot to take a pit stop and catch your breath before jumping on the Bear. Turn right on US 212 and you are riding the Bear. As the road rises towards the summit, make sure to stop at Lake Creek Falls and Clarks Fork Overlook. Be sure not to miss Pilot and Index Peak overlook, a paved road that offers some great views of the two guardians. Don’t forget your camera. 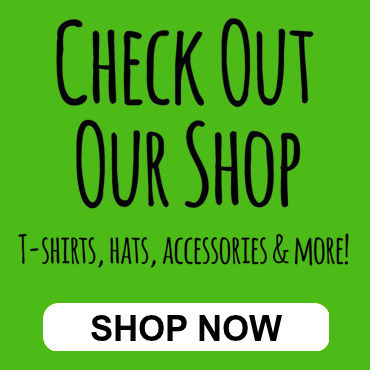 After you pass Beartooth Falls and Beartooth Lake, you will be winding through glacial lakes and switchbacks that will lead you to the only pit stop on the road, The Top of the World Store. After taking a breather, get back on the Bear and shoot for the Summit. You twist and turn as the West Summit Overlook approaches on the left. At 10,947 ft., the overlook offers fantastic 360 degree views of the Beartooth Plateau and the surrounding mountains that are not to be missed. Also, do not miss spotting “Na Piet Say“. This spire, carved by glaciation, is the namesake of the Beartooth Mountains. As you start your descent to Red Lodge, you will pass the 45th parallel, exactly halfway from the equator to the north pole. Then comes the real fun, 7 miles of the most beautiful switchbacks this world has to offer. A twisting 5,000 ft ride down the side of Beartooth Plateau. Make sure to stop at Vista Point rest area, a great place to stop and soak in views of Rock Creek Canyon and Hellroaring Plateau. As you near Red Lodge, stop for a minute and look back. You have just completed one of the most beautiful, challenging rides this planet has to offer. Spectacular and dangerous. The Chief and the Bear should be on every motorcycle rider’s bucket list. You just checked them off yours.